How much do Red Sox suites cost? 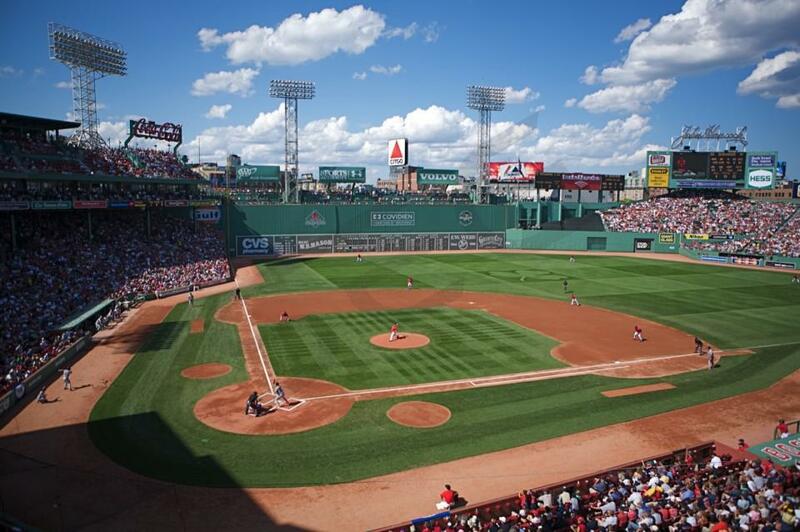 Boston Red Sox suite prices will range from $7,000 - $10,000 on average. Suites at Fenway Park for a Red Sox game vary based on day of game, opponent, and the location of the suite. Red Sox games versus the Yankees will be the most expensive. Fenway Park suite prices for concerts and other events other than Red Sox games can vary widely based on the type of event. Pavilion Suites are located on the upper deck along first and third base lines and can hold 20-25 guests. Suites K1 and K2 can be combined to form a double suite. Pavilion Suites feature large HD TVs, air conditioning, and a private outdoor seating area with sweeping views of the Boston skyline. Legends luxury suites include 22 suite tickets with an option to purchase up to 4 additional tickets. Legends suites are located on the lower Dell Technologies Suite level and feature the finest amenities such as in-suite catering options, VIP parking, comfortable seating, a climate-controlled environment, HD-TVs, private restroom, Indoor-outdoor seating and early entry into Fenway Park. The 2019 Boston Red Sox are the favorites to win the World Series once again. To do it, fans will see the Red Sox vs. Yankees rivalry hotter than ever. Both teams enter 2019 are division contenders and every game between Boston and New York will have a big impact down the stretch. It’s hard to find something wrong with the Red Sox starting lineup. J.D. Martinez has cemented himself as one of baseball’s all-around best hitters. Last season’s American League MVP, Mookie Betts, has the potential to be even better than a year ago. The Red Sox can expect even better seasons from some their future stars like Andrew Benintendi and Rafael Devers. The Sox have potential all-stars at nearly every position like players Dustin Pedroia, Xander Bogaerts and Jackie Bradley Jr. Manager Alex Cora knows the team can’t win on bats alone, so he has two aces leading the Red Sox pitching staff. David Price and Chris Sale are arguable the best 1-2 punch in baseball. The rotation fills out with Rick Porcello, Nathan Eovaldi and Eduardo Rodriguez. Fenway Park will be filled with 2018 World Series celebrations this year but there’s also a great chance for fans to watch the Red Sox go back-to-back World Series Champions in 2019. Fenway Park is not just one of baseball’s most legendary venues, it’s one of the most iconic sites in all of sports. The Green Monster in left field is as much of a staple in baseball as Pesky Pole in right field. 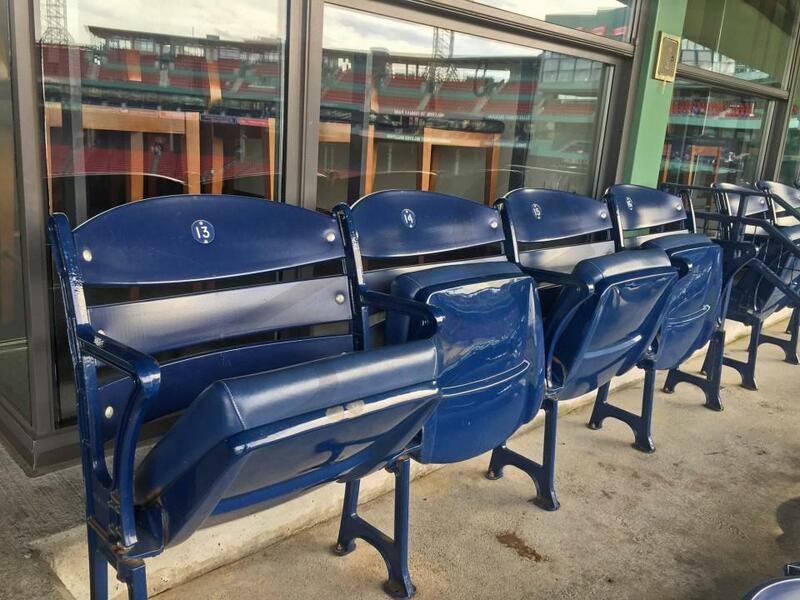 Watching the Red Sox from a luxury suite is going to offer fans a VIP experience at Fenway. Legends Suites are going to accommodate 22 – 26 guests. 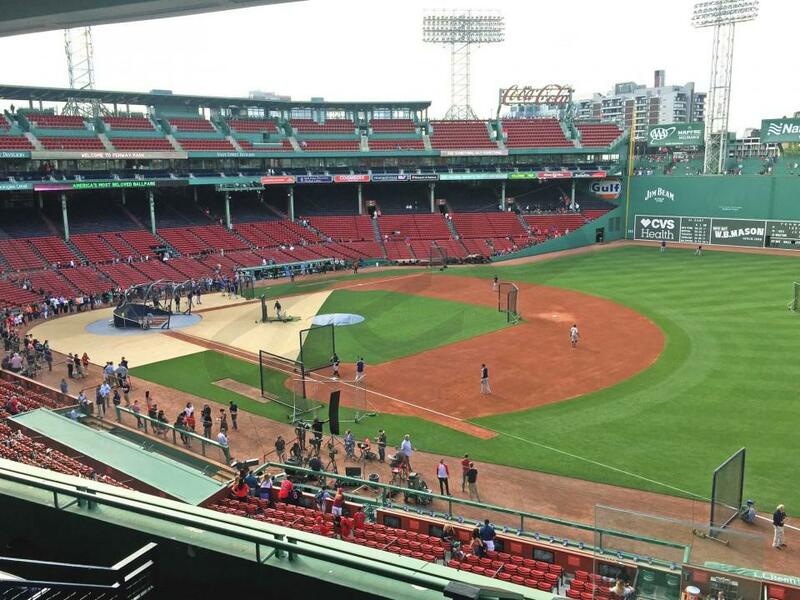 Red Sox suite prices could range from $8,000 - $12,000 on average, with games versus the Yankees exceeding that. Red Sox suites will feature balcony seating, a climate-controlled environment, HDTVs and a suite attendant. Fenway Park catering staff will make sure your suite is fully stocked with your favorite food and drinks prior to your arrival on gameday. The Boston Red Sox enter 2018 with high hopes that new manager Alex Cora can take them to the next level in the postseason. The defending AL East champs return much of the same roster as last season, when the team won 93 games. On offense, Boston has plenty of firepower surrounding MVP candidate Mookie Betts, who has proven to be one of the most exciting young players in the big leagues. Nearly everyone in the lineup has 20+ home run potential, including Jackie Bradley Jr., Hanley Ramirez, Andrew Benintendi, and Xander Bogaerts. 21-year old Rafael Devers was a bundle of electricity last year after he was called up to the majors, flashing his potential as Boston’s third baseman for the future. Red Sox lifer Dustin Pedroia and first baseman Mitch Moreland, who was just re-signed to a two-year contract, will provide a much needed veteran presence to a young, yet extremely talented, lineup. Year after year the Red Sox boast one of the most exciting and powerful lineups. Last season Chris Sale, in his first year in Boston, proved his worth to the Red Sox. Sale finished second in AL Cy Young award voting after posting the best numbers of his career, including 17 wins and 300+ strikeouts. When clicking on all cylinders, Boston’s pitching staff has the potential to be one the best in the MLB. Boston has two Cy Young award winners on its roster, and neither of them are its best pitcher, Chris Sale. Rick Porcello and David Price won the award in 2016 and 2012, respectively. Southpaw Drew Pomeranz, who enjoyed a career year last season, will bolster the back end of the rotation. In the bullpen, shutdown closer Craig Kimbrel will look to continue his dominance closing games for Boston. The 2017 Boston Red Sox won’t have David Ortiz in their lineup, but there is still plenty to be excited about. The Red Sox acquired one of the best pitchers in baseball and they have some of the best young players in Major League Baseball filling out their lineup. In a trade with the White Sox, the Red Sox acquired Chris Sale. Sale instantly becomes the best pitcher in the American League East. He’s now the ace of the team, which figures to have one of the best rotations in the American League. David Price is still an amazing pitcher in his own right. Rick Porcello won the 2016 Cy Young award. Eduardo Rodriguez is an exciting young arm that could be a staple in the rotation for years to come, and Drew Pomeranz is no slouch in the back end of this staff. In his second year with the team, Craig Kimbrel is the anchor of the bullpen. To back up Kimbrel, the Red Sox traded for former Brewers closer, Tyler Thornburg. Manager John Farrell must be excited with his potential lineup this season. Hanley Ramirez will be at first base, Dustin Pedroia will man second base, and Xander Bogaerts is at shortstop. Bogaerts is only 23 years old and hit over 20 home runs in 2016. The Red Sox hope Pablo Sandoval can return to form and be their everyday third baseman. The outfield looks strong as well with MVP candidate Mookie Betts leading the way. Betts had an amazing year, hitting .318, with 31 home runs and 113 runs driven in. Jackie Bradley Jr. is a great defender in center field. Boston will give top prospect Andrew Benintendi a shot to be their everyday left fielder. The Red Sox play at one of the most iconic venues in sports, Fenway Park. Experience Fenway in VIP fashion from a private luxury suite. 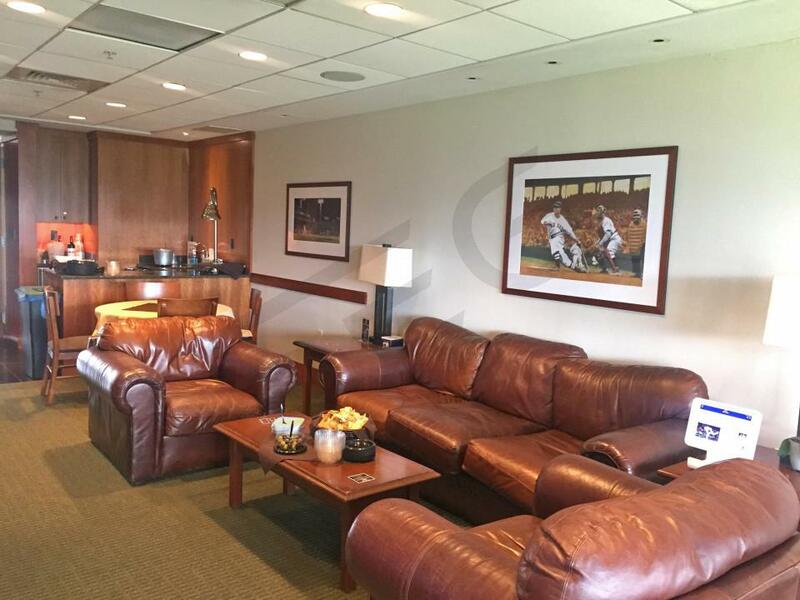 Red Sox suites will accommodate groups of 22 – 26 guests. With your luxury box, you will receive VIP parking passes, private entry into Fenway Park and a Red Sox suite attendant to help you on game day. In-suite catering is available to purchase in advance at an additional cost. Suites will feature HDTVs, Wi-Fi, wet bar, private restrooms and indoor and outdoor premium seating. Whether you need a suite for business entertainment or for pleasure, Fenway Park suites are perfect for any occasion. The Boston Red Sox made one thing clear in the offseason, they won’t allow a back-to-back losing season. The Red Sox finished 78-84 in 2015 but made significant improvements to the roster to bounce back for a great year in 2016. General manager made the first big splash in free agency by signing the best pitcher available, David Price. Price finished second in the AL Cy Young voting last season. Price signed a seven-year deal to be the ace of the Red Sox rotation. Continuing to upgrade their pitching, the Red Sox then struck a deal to bring in one of the baseball’s best closers, Craig Kimbrel. Kimbrel played for the Padres last season and has virtually unhittable for the past five years. Red Sox manager John Farrell will also have starting pitcher Eduardo Rodriguez for a full season. Rodriguez is one of the best prospects in the Red Sox organization who finished second in wins last season despite only starting 21 games. Rounding out the rotation will be Clay Buchholz, Rick Porcello and Joe Kelly. One of the most exciting offensive weapons the Red Sox will have is Mookie Betts. Betts enters his second season after finishing with 18 home runs and 21 stolen bases. In his first full season, Xander Bogaerts finished second in the AL batting race. Bogaerts will handle shortstop for the Red Sox. Rusney Castillo flashed some of his amazing talent but battled injuries for most of the season. A healthy Castillo could go a long way for this team. Blake Swihart will have the opportunity to take over as catcher for a full season. While the Red Sox will be loaded with future stars in their lineup, let’s not forget about the veterans that keep this team playing hard each year. David Ortiz will enter his final season. Ortiz announced he plans to retire after 2016. Dustin Pedroia is one of the game’s hardest working players and has said he hopes to steal more bases this season. Hanley Ramirez got off to a hot start last year before getting bit by the injury bug. Ramirez will be moving to first base for some games this season. Pablo Sandoval probably wishes he had a better first year with the club. Sandoval is a bounce back candidate who can bat anywhere in this lineup. Experience one of the most historic venues in all of sports from a private luxury suite. Boston Red Sox luxury suites include premium in-suite catering options and a climate-controlled environment. Fenway Park suites also feature VIP parking, wet bar, private restroom, HD-TV, upscale furnishing, exclusive access to the suite level and early entry into Fenway Park. 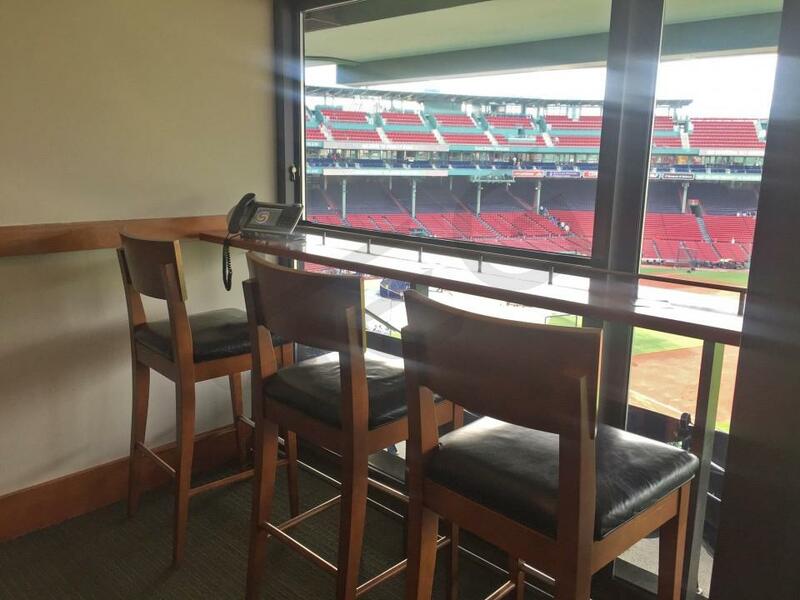 A Red Sox suite is perfect for entertaining clients or friends. Red Sox suites will include 22 tickets with an option to purchase additional suite tickets. There’s no better way to experience Red Sox baseball. The Boston Red Sox didn’t waste any time to improve their 2015 roster this offseason. The Red Sox added two power bats in Hanley Ramirez to play left field and Pablo Sandoval to play third base. This comes after finishing last in the American League East in 2014, just one year after winning the 2013 World Series. With veterans Dustin Pedroia, David Ortiz and Mike Napoli filling out the rest of the lineup, the Red Sox shouldn’t have problems putting up runs on the scoreboard this season. Their pitching staff has been overhauled from one year ago. They have Clay Buchholz entering 2015 as their number one starter. After that, you will see many new faces like Joe Kelly, Wade Miley and Rick Porcello. The Red Sox will look for some of their young stars to step up in 2015. Mookie Betts will get his first full season under his belt and Xander Bogaerts will look to improve on his rookie season. Experience one of the most historic venues in all of sports from a private luxury suite. 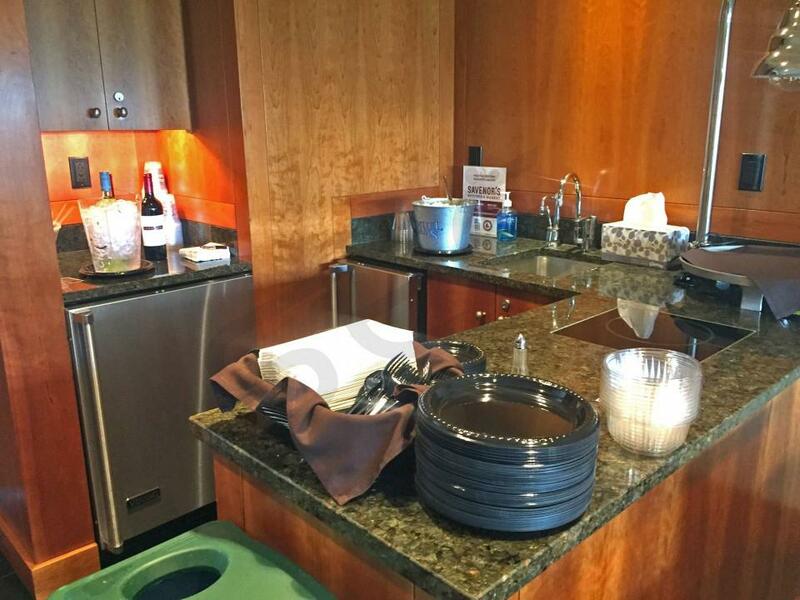 Boston Red Sox luxury suites include premium in-suite catering options and a climate-controlled environment. Fenway Park suites also feature VIP parking, wet bar, private restroom, HD-TV, upscale furnishing, exclusive access to the suite level and early entry into Fenway Park. 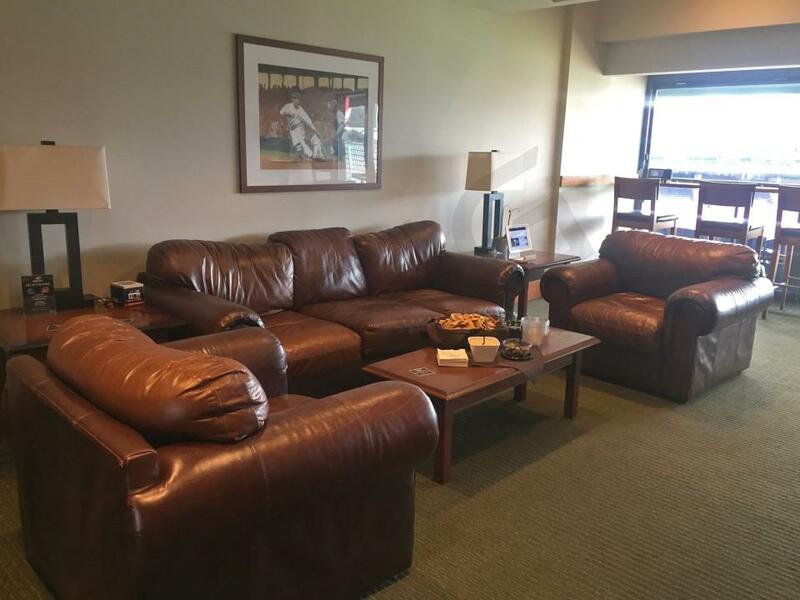 A Red Sox suite is perfect for entertaining clients or friends. Red Sox suites will include 22 tickets with an option to purchase additional suite tickets. Thank you for signing up for specials at Fenway Park. Enter your email address below to stay in touch. We'll sign you up for our newsletter, which will inform you of the latest inventory and events at Fenway Park. We promise we will never sell or distribute your information. 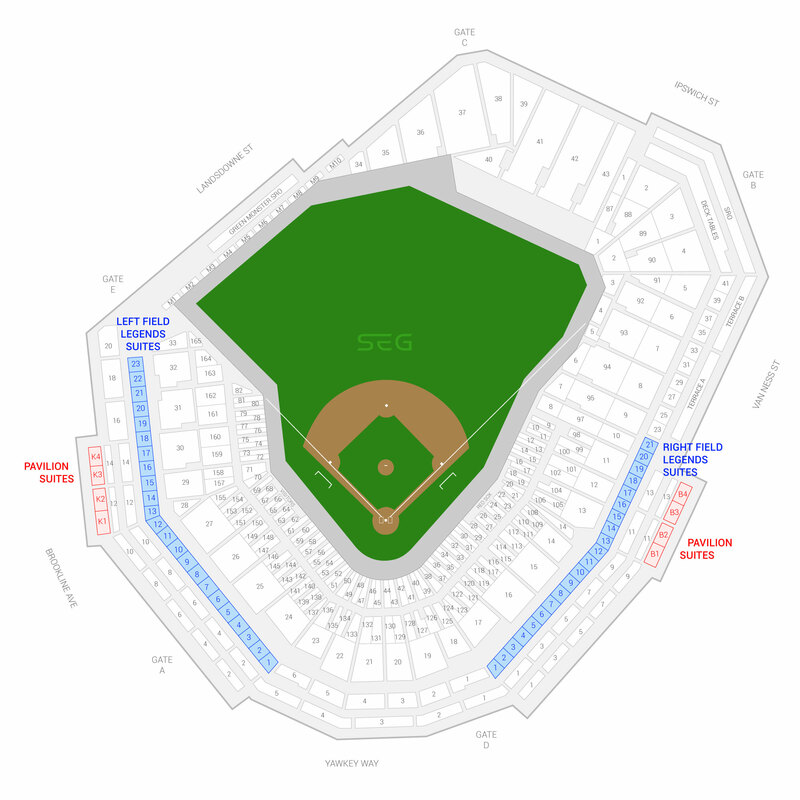 The seating chart below shows where the Boston Red Sox suites at Fenway Park are located.